Sweet Red is a third generation Strawberry farm owned and operated by the Marinovic Family since 1974. The farm is famous for producing “Sweet Red” Strawberries “The World’s Best Strawberries“. Our family’s passionate Croatian heritage and love of quality produce is evident in everything Sweet Red does. During our 43 years of operation we have established ourselves as the premier Strawberry producer in New Zealand with a primary focus on guaranteeing quality for our customers. 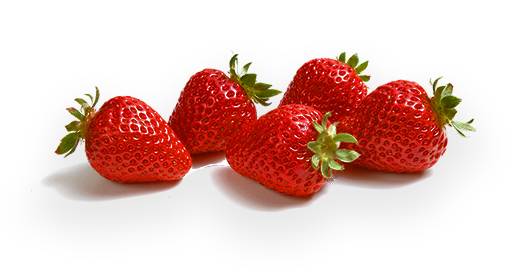 The “Sweet Red” Strawberry brand has represented excellence in the strawberry industry. This has been achieved through our continued pursuit of improving Strawberry growing and harvesting techniques. New Zealand Gourmet has had a long standing relationship with the Sweet Red Brand. In 2016 we partnered with NZG and “Sweet Red Gourmet” is now planting 42ha in Helensville, of the best tasting strawberries you will ever have. Our Strawberries are available in supermarkets New Zealand-wide, Farmers Markets in the Auckland Region or of course available fresh each day from our Shop at 68 Fred Taylor Drive, Westgate, Auckland. 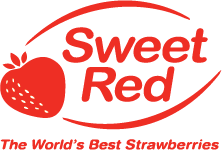 Our “Sweet Red” Strawberry brand is also available internationally. We currently utilise two different varieties of strawberries. First we have the Ventana variety. This type of strawberry has more of the traditional, triangular strawberry shape and also has a great taste. This is a favourite of many due to it’s juiciness, large size and is great for impressing family and friends! Next, the Camerosa. This particular fruit is beautifully sweet, firm to the touch and has a great conical appearance. The Camerosa is plentiful in New Zealand and especially popular with Auckland growers due to it’s climate (warm during the winter) and low altitude which are optimal growing conditions for the Camerosa. During the peak of the season we employ approximately 300 people, some of whom have been working for Sweet Red since it’s inception. 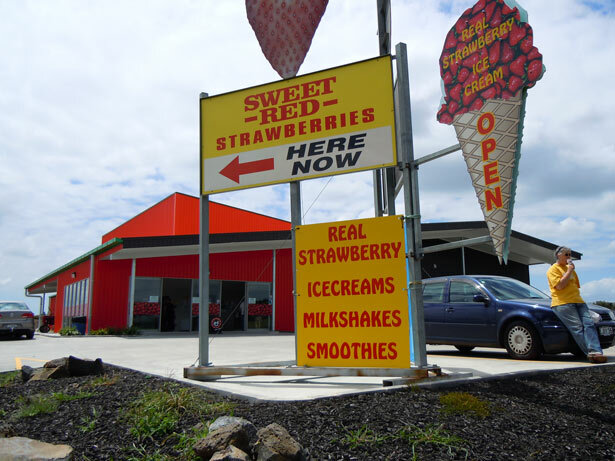 At our Shop in Westgate, we sell all of our grades of fresh and delicious “Sweet Red” Strawberries and also our famous Real Fruit Strawberry Ice-Creams, Milkshakes and Smoothies. Our Pick-Your-Own (PYO) season begins on Boxing Day (26th of December) and is a fantastic day out. It is located at our Helensville site – 61 Bradly Road, Helensville. For more information about this, please click the “Pick Your Own” tab. Our Family welcomes you to visit our farm shop at 68 Fred Taylor Drive Westgate 0814 and then Boxing Day to our farm at 61 Bradly Road Helensville for our Pick Your Own Strawberries, so that we can share with you, a truly unique experience and so you can taste the World’s Best Strawberries for yourself! !